It is through innovative technology that we have designed gensets specifically for the requirements of military and defence entities. These generators are capable of withstanding the most extreme conditions whilst adapting to the environment in which they are operating. These types of projects are developed with the highest levels of security and confidentiality. Supply of two generators for a 3D mobile radar system for the Spanish army. The objective of this project was to supply a fully operational mobile power plant for the radar system, to supply the required amount of electricity for the tactical radar to operate normally, autonomously and without dependence on any other energy source. It’s made up of 2 identical genset units, installed in sheltered containers ISO-10, each containing an engine, alternator, fuel tank, switchgear, control and synchronism, network monitoring and an uninterruptible power supply system (UPS). Where the Radar System is deployed in installations that have a power supply, the GENESAL gensets are capable of monitoring that power supply, and should it fail for whatever reason, it will immediately apply the UPS protocol switching power to one of the gensets. The genset will carry the load as long as the mains grid power is offline. 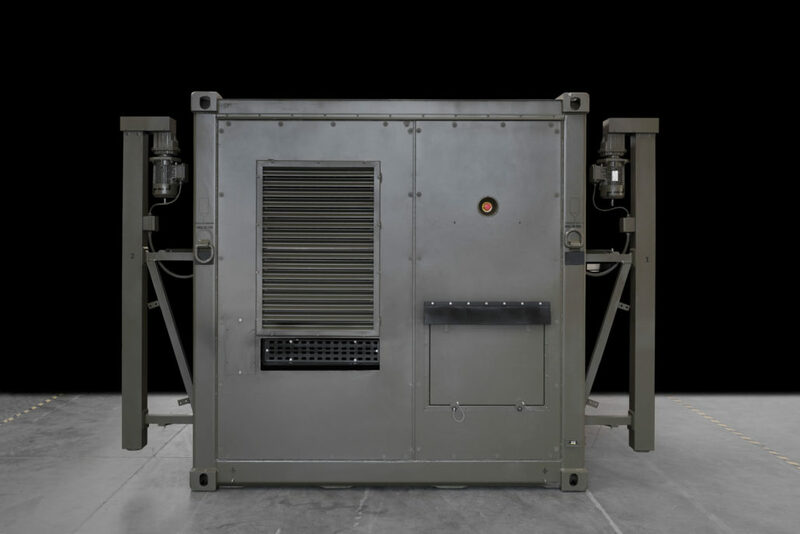 Military gensets by GENESAL ENERGY are adapted to different situations providing a response to all kinds of requirements.